First of all thanks to Mr. Saket Bansal who explained concepts of PMP in a very simple language through his videos. Here is my lessons learned and study strategy for PMP . 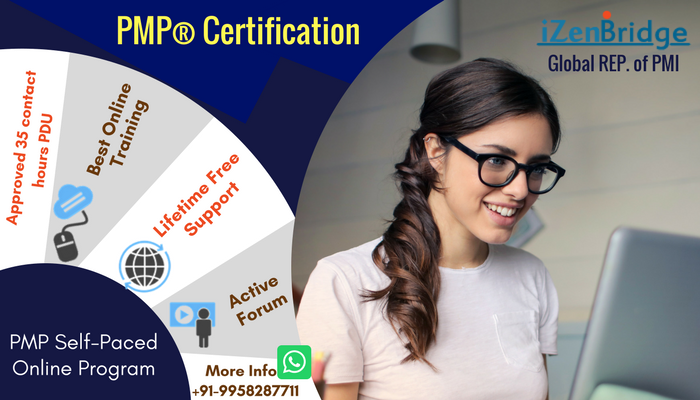 I took this PMP certification as one of the resolutions for the year 2018 .Initially I too was very confused and bit skeptical like others who just start their journey towards this certification by thinking whether they can achieve it or not as failing dreams or you can say in the PMP language Risk of failing seems very high when you are starting any new projects but as you move forward with your plans and tally it regularly with your progress then surely you can avoid/mitigate/transfer or accept the risk and completely close the risk at the end of that project. 1.I planned to study 4 hours daily (except weekends) since March 2018 (in total around 50 Days time). 2.I took online course from Izenbridge consultancy in Jan 2018 which made my base for PMP very strong. 3.I kept my study material very limited as I focused only on Rita Mulachy 8th edition and PMBOK 6th edition for studies. 4.I read Rita Mulachy twice , PMBOK thrice (along with Agile Practice Guide). 5.I did not memorise any formulas or ITTO as after reading it with close attention i found its very easy to relate all the processes in PMBOK once you have understanding about those concepts it works well in your mind. 6.After reading all the study material twice I attempted all the mock questions given below and analyzed all the answers (wrong and right) to improve my understanding from PMI point of view and it worked well in exam. 7.Read all the Glossory terms from PMBOK and Agile PG. 9.Give more attention towards Quality/Risk/Integration/Communications/Procurement management area. Mock exams results of 3000+ questions after i finished two rounds of study of Rita Mulachy and PMBOK6 edition with Agile Practice guide. Even if you are scoring lesser than 70% in some of the mock tests do not get disheartened and pick up all the reasons why it was wrong and improve. 1. I completed my exam in 3 hours 35 minutes then used rest of the time to review questions where i put marked symbol. 2. 80%-85% questions were situational where you need to apply your knowledge (indeed very tricky to decide which is the right option). 3. 4 or 5 ITTO based questions. 4. 4%-6% questions based on Agile concepts. I wish success to every body who are planning to pursue their exam for 6th edition .Yes, Its achievable with persistency and continuous improvement in your own ways. Make a best version of yourself and do whatever suits to you as per your schedules and achieve the target PMP .Happy Learning !!!!!! Re: I have achieved my PMP credentials(Sixth Edition) on 8th May in first attempt with overall Above Target. Congratulations and thanks for detailed sharing of lessons learnt. Can you tell us how many questions from Agile practice guide did you receive?